Get your TIVOs ready. Tomorrow, Feb. 1, Tyra Banks is going to talk about the "thinness mania" in the modeling industry. She will have on her show 4 models including one plus-sized model and one who weighs 88 lbs and still thinks she needs to lose weight. Also interviewed will be a young woman currently suffering from anorexia, and the mother of Ana Carolina Reston, the Brazilian model who died of anorexia. In my opinion, the title of this show should have been called something like, "The Pressure to be thin, a model's view." Instead, it's called "Tyra Confronts Her Tabloid Photos" referring to, and obviously capitalizing on, all this hooplah about her weight gain, and the unflattering pictures of her in a bathing suit on vacation. Tyra will consequently wear the bathing suit in said pictures on the show, and then show us her own original untouched pictures. I'm trying hard to like Tyra but why in this case does she have to put the emphasis on herself? I get that it's her show, but here is a bigger issue at hand with all the unrealistic beauty obsession, and she is just one of its, albeit famous, sufferers. Focus on the 1,000ft view Tyra, not the 10ft one. I am very interested in hearing what Ana Carolina's mother has to say. My heart goes out to this mother who lost her daughter. Grey's Dr. Bailey, Chandra Wilson, says, "Thank you for taking me as I am"
In case you missed Chandra Wilson's Screen Actor's Guild acceptance speech for Best Actress in a TV Drama for Grey's Anatomy, here it is. It was very heartwarming to see that she mentioned that she couldn't wait to take the SAG award home to show her daughters to let them see that despite not having a perfect nose, perect eyes, flawless skin, and having flabby arms, you can still be a champion in beauty obsessed Hollywood. Go Chandra! Mariska Hargitay and son "Got Milk"
It's no secret that we love Mariska Hargitay. Here she is in a new Got Milk ad with her baby boy August. This is such an adorable picture! You can see more information about healthy drinks and a video featuring Mariska at Think About Your Drink. I'm doubly excited that Mariska will be on Law & Order SVU for two more years, and her new contract makes her the highest paid actress on TV. Good for her! And if you didn't know, Mariska is a celeb who blogs. Check out her blog at Mariska.com. For the big Vista Launch, Bill Gates made an appearance on the Daily Show with Jon Stewart. What I loved about this interview is that Jon is not computer savvy at all. He's simple like the most of us, so his questions were totally non-geeky, and hysterical. Everyone can relate to Jon. Hmmmm...What does the F12 button do? "There's no way I'd spend any money on that nonsense, " she told a friend recently about the faith founded by author L. Ron Hubbard. Now, that isn't a really nice thing to say about someone's "religion" especially about Katie Holmes her new BFF's husband's religion, but we are all entitled to an opinion. I find it interesting what Posh thinks is nonsense considering she spent a rumored $44,000 on getting her teeth whitened. I sure hope her pearly whites are sparkling. To find out which Vista version fits your needs the best, this handy Vista comparison sheet can help you out. Equally cool is the availability of Office 2007 which include favorites like Word, PowerPoint, Excel, Outlook. 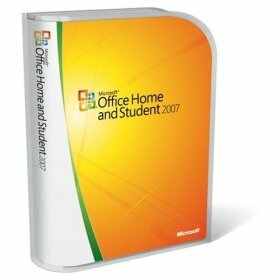 There are multiple versions of Office 2007 so depending on the version of Office you get, you can also have access to the applications OneNote, Publisher, Accounting Express, Access, Groove, and InfoPath. 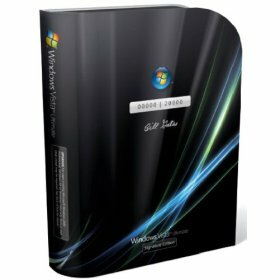 One of the reasons I decided to take a new job at Microsoft as an Enthusiast Evangelist was because I was very excited about the things I saw in Vista and Office 2007. The graphics are stunning, and the user experience is easier and more entertaining than Windows XP. As a user, I care very much about having a simple experience and having something nice to look at. Some of the new features give you the opportunity to do some very cool and artistically beautiful things. I never knew that documents, spreadsheets and presentations could look so cool! 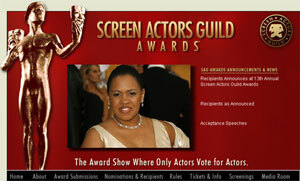 Last night was the Screen Actor's Guild (SAG) award ceremony. The SAG awards are where the actor's pick the winners, so this contest is really about actors picking out who they think is the best amongst themselves. It was thrilling to me to see that the female winners the actors chose where "real women" type actresses who represent more real life and less Hollywood fantasy. See people, the changes are a brewin'! Jennifer Hudson for Best Supporting Actress for Dreamgirls - Jennifer is just racking up the statues. Chandra Wilson for Best Actress in a TV Drama Series for Grey's Anatomy - We LOVE Dr. Bailey. She makes Grey fun to watch. America Ferrara for Best Actress in a TV Comedy Series for Ugly Betty - It's all about substance and heart here. Today, January 29th, Oprah Winfrey is celebrating her 53rd birthday. The woman is a media mogul, do-gooder, self-made billionaire, and inspiration to us all. Do I have Oprah Idol? You betcha! 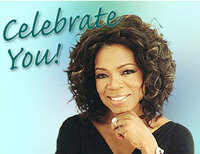 I admire Oprah more for the fact that this woman has done so much to help so many people. I mostly appreciate that she let's us see her human-ness. Check out her program Celebrate You! Here you can find tips and advice on getting motivated, finding your strength, building confidence, and getting support. Pretty cool! Marcheline Bertrand, the mother of Angelina Jolie and James Haven, died on Saturday afternoon of cancer at Cedars-Sinai Medical Center in Los Angeles. Angelina and James were at the hospital with their mother along with Angelina's beau Brad Pitt. 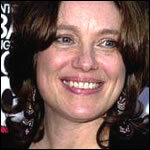 Bertrand was married to actor Jon Voight and the couple divorced in 1978. Voight is father to both Angelina and James. A private funeral is planned, and the family asks that in lieu of flowers that donations be made to the Women's Cancer Research Institute at Cedars-Sinai. We send our deepest condolences to Angelina and James, and to their mother's family and friends. Today, I was looking at my blog and I saw this ad running on the side bar in my Google Adsense area. I was completely horrified! The ad is for a diet plant, and the landing page says "How to be Anorexic." They say they do not advocate anorexia but if you read the ad closely, they do! Here's a snapshot of the offending ad. The wording on this text ad is deceptive as well because I have no doubt that Oprah and The Today show are NOT supporting "Anorexic get skinny." They may have talked about the plant Hoodia, but absolutely not about this specific product. So yeah, this one time I violated the Google rules which says that you cannot click on ads on your own blog. But, for crying out loud, I was alarmed to see this on my blog. This ad goes against everything I believe and talk about here. First, I have to profusely apologize to everyone who has seen this ad, or any ones like it. Please tell me if you see anything offensive in the ads or inconsistent with my message. I ABSOLUTELY DO NOT support unhealthy diet plans, diet pills, diet concoctions or whatever that help people have eating disorders. I cannot believe that Google would even allow these kind of companies to advertise this way. It is absolutely irresponsible! I am pissed off to no UN-end. I wrote to Google AdSense and told them about this situation and let them have my two cents. We will see what they say, but in the mean time, I just wanted to write this post to tell you all that I am trying to get this crap removed, and that by all means it DOES NOT represent in any shape or form what I believe or want to encourage. What I am most appalled about is that Google would even allow any company or person to advertise products that blatantly help people have an eating disorder. I've been noticing that there are some Google text ads showing up that I do not care for. It's starting to bother me now. The only way to filter in Google AdSense is if you know the specific offending urls. When I catch offending ads, I put them in my filter, but I cannot possibly catch every single ad that may slip through that talks about diet pills, quick plastic surgery, or lose 20 pounds in 2 weeks. It's a quandary, and I don't get why Google just won't let you filter blanket categories. I have stayed with Google Adsense because I believe that it is a good program and that I have made some decent revenue to support this blog. All the other ads on my blog are affiliate marketing programs, and I do not make anything unless someone actually buys something. As of yet, I do not have any paid (directly to me) advertisers. I'm getting to a point though where I am considering dropping Google Ad Sense all together because I cannot have more control in the ad content. I want ads that are consistent with my message and values. That is very important to me. Again, I apologize for the heinous ad, and I'm working on a solution here. Update: Damn it! I am getting a bunch of lose weight qick ads from Google AdSense today. I am taking it all down for now until I get some kind of remedy.